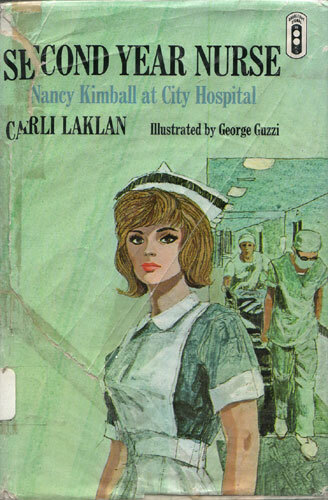 Nancy Kimball and her new friends at City Hospital barely escape being caught forming a secret society after lights-out. Then they win a full grown and gobbling Thanksgiving turkey and secretly keep him, until he escapes, in the baggage room of their dormitory. These are just two of the escapades that provide Nancy with fun and excitement in her second year of nurse’s training. However, when she learns that two of her new friends have endangered the life of a patient, Nancy’s conscience and training take over and she realizes she must report them, although this will cause trouble between her and her classmates. Problems mount. How Nancy eventually copes with them makes exciting and enjoyable reading for girls.